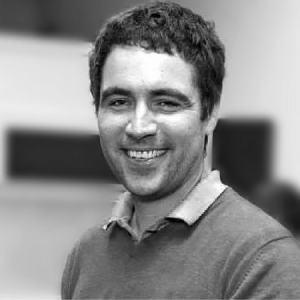 As part of our ‘Ask the expert’ series, we caught up with web designer extraordinaire Paul O’Connor from Judo Design, to ask for his insights and expertise on the web design of building and maintaining an engaging website. What are the key steps / tips when starting out a website build? I am very much a ‘form follows function’ designer. So the key starting point for me with a website (or any design output) would be to tease out with the client the root purpose and needs for the website. What does the website need to do and where do they want it to take them. What’s its function? I start out by asking big contemplative questions like that to begin with. Absolutely nothing to do with images, colours and fonts! As the needs and functions become clearer, the design will then pretty much take care of itself. It’s a similar process when updating a website except you would also look back to see what has worked and what hasn’t. It’s important to determine what is necessary and what is missing, then you get onto the next stage of what needs to be updated technically and visually etc. That was the approach I took with DHR when upgrading both circlevha.ie and africaday.ie. We stepped back and asked ‘how can we improve this?’ Then the design process followed suit, along with identifying the need for the website. 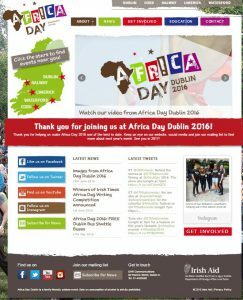 A key aspect for the redesign of africaday.ie was creating dedicated pages / sections for the main Africa Day events in Dublin, Cork, Limerick, Galway and Waterford. The other main focus of the redesign was to create stronger links between the various Africa Day social media channels and the website. Why is it so important to link your social media channels into your website? There is an ever increasing diverse set of services and interfaces that people use to engage with online content. Something like the Africa Day website, which is required to appeal to a broad public audience, needs to be accessible through these various channels. The website that Judo Design and DHR Communications created became a hub for these channels. Content from the site was always carried through on the various social media channels. This also works in reverse in that many users who engage with the Africa Day social media channels click through to the Africa Day website looking for additional information on the various events etc. Search engines tend to reflect favourably on these interactions between social media and your website. As a result you could see a dramatic rise in your websites ranking on search results. 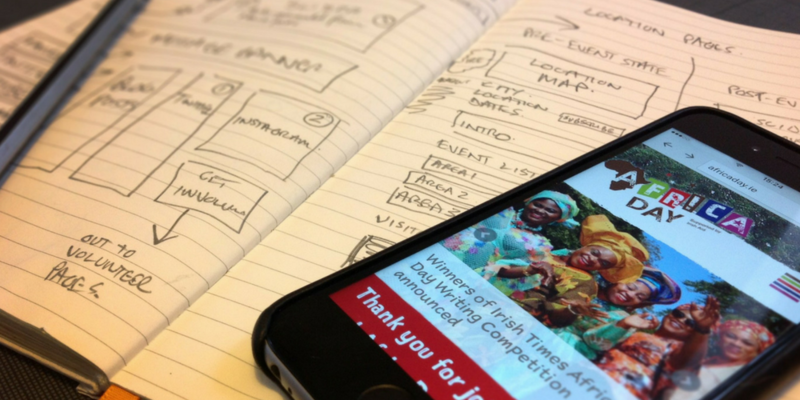 What role does content play when creating an engaging website? Content is King. It doesn’t matter how well you dress something up, if it’s not based on easy to digest, informative content then its effect will be quite shallow. It needs to be clear what is on offer and why a reader would bother to engage with it. If making it “pretty” supports that, all well and good. But if making it clean and plain works better, then that is the route to take. In the planning stage, there needs to be a process of reflecting on who the end users are, what their wants/needs are and how best to reach them. 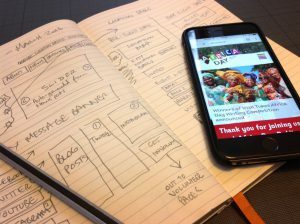 Both the client and designer need to be able to see the content from the end-users’ perspective. Ideally, this should also be supported by market research with the client’s end-users and partners. What are the key tips for managing and maintaining your website once it’s built? Building and launching a website is never the end of the road. Site maintenance is always an important factor to consider and discuss right from the planning stage. You need to keep a website up to date, otherwise it becomes ignored. But one needs to be pragmatic and realistic about how much you can give to the site and also how much is needed. There’s no point planning to add three large news posts each week when you barely have time to keep up to date with your emails. It’s just not going to happen and it will end up becoming a burden. It may prove more productive to write three one-line tweets and no news posts to get the response you desire. As mentioned earlier, linking social media into your website is content creation in itself. So, the key thing is to plan, plan, plan! Have a cup of tea, then plan some more! It’s all in the strategy. It can be a hard and messy thing to do. Very few clients like you digging around in their business, sometimes asking awkward questions, but it’s worth it in the end. At the start of a project there is always an uncomfortable unknowingness about how it is going to turn out and that can often lead to a rush to see how it will look. But that is to miss the real process that will produce the best and most bespoke results. If both a client and designer are clear about what they are doing and where they are trying to get to, then the appeal and legibility of the design itself will reflect that. 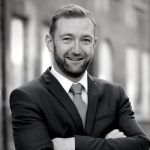 DHR Communications has worked with Paul O’Connor from Judo Design on a number of client websites including africaday.ie and circlevha.ie, as well as our own website, dhr.ie.